It’s the winter term – with snowy weather, midnight feasts and the Christmas concert to arrange! Susan is in charge of organising it, and everybody else has secret plans to make. 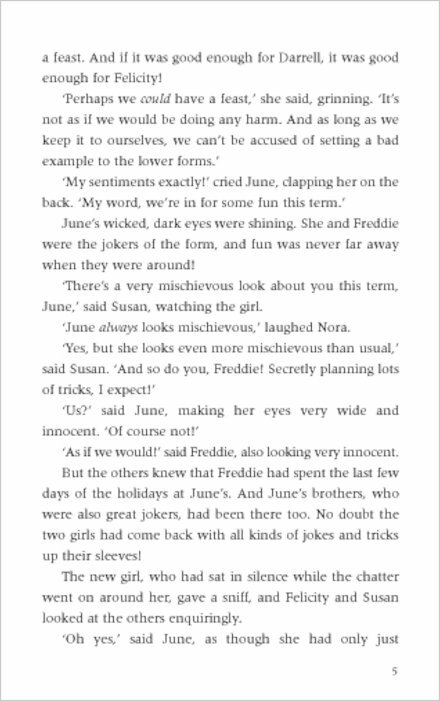 But when a teacher bursts in on a midnight feast, the students have to ask: is there a spy in their midst? 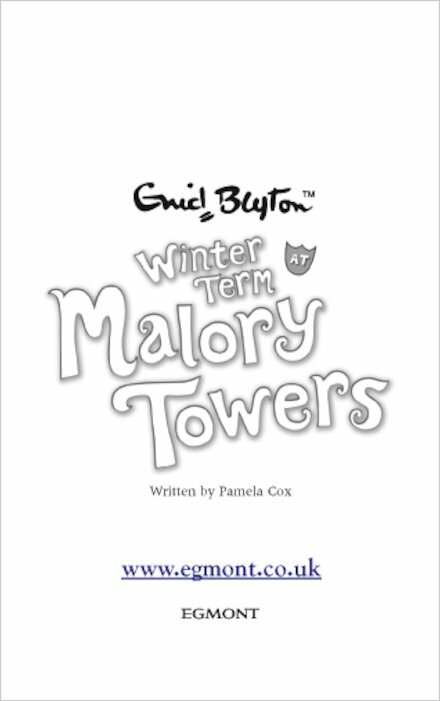 Seasonal fun from the lawns and turrets of the world’s favourite boarding school: Malory Towers! This is a pretty sweet book loved it. I loved this book and i rate it 5 stars!! I recommend this book to any girl 9 or 9+... 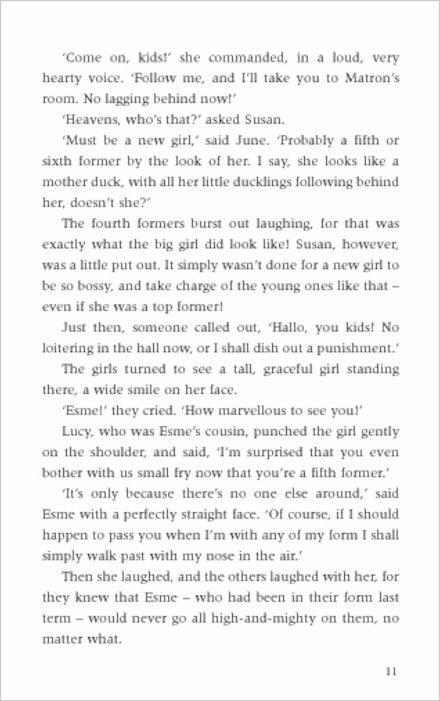 I do so wish with all my heart to go to a school like malory towers! I love it so much! 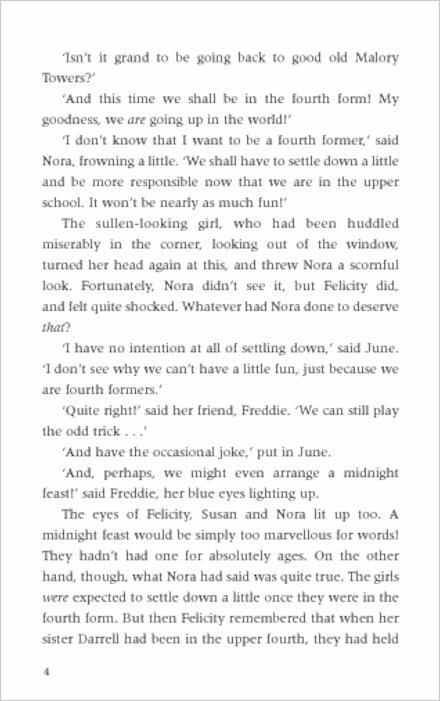 I wish I could go to a school like malory towers! It might be old fashioned but I can’t help loving it so much! 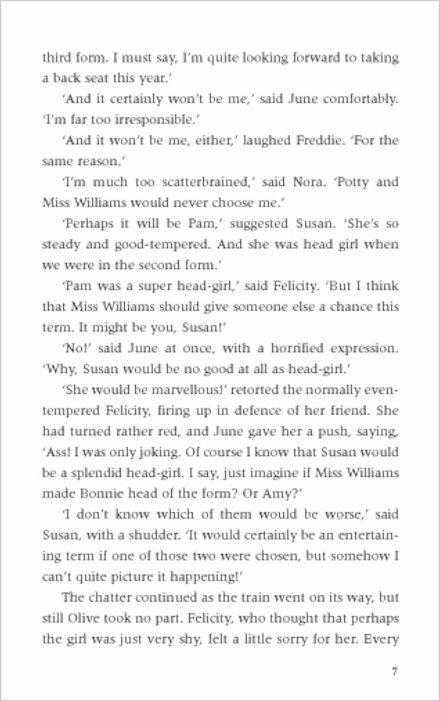 Great book, Gwen’s reaction when Mary lou gets to play the main character is priceless. 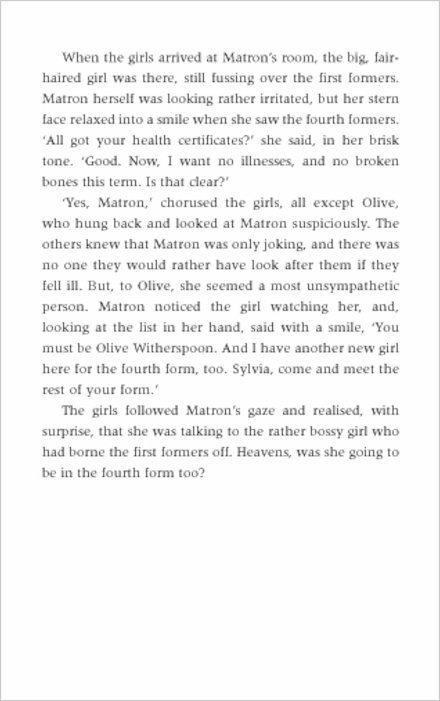 This book fits in well with the modern, censored versions of Blytons books, but definitely isn’t as good as them. 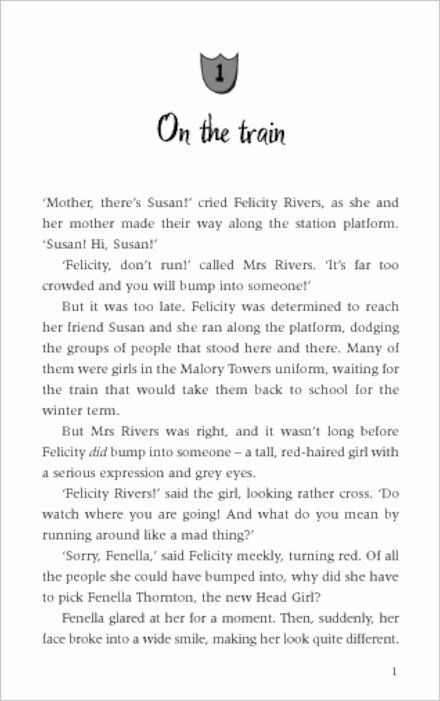 Pamela Cox only just manages to capture the magic of Malory Towers. ITS AWESOME THESE ARE MY FAVORITE BOOKS. 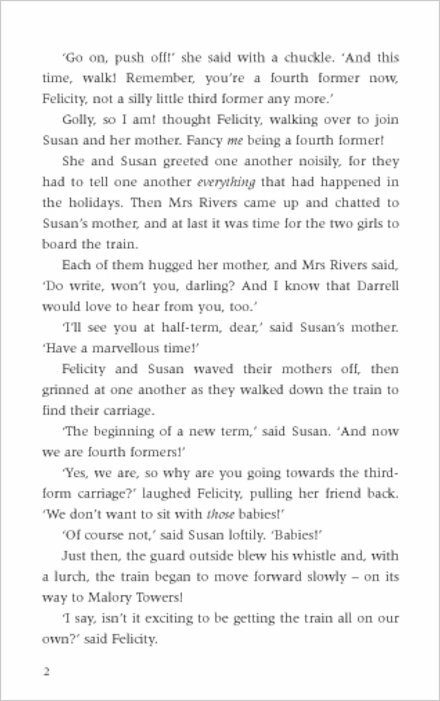 HEY GUYS DO U KNOW DARREL IS ENID BLYTON`S REAL NAME SO SHE USED IT IN THE BOOK. ANY ]WAY ST.CLARES TOO IS A NICE ONE. I LOVE THE WAY ENID DEPICTS HE THOUGHTS. 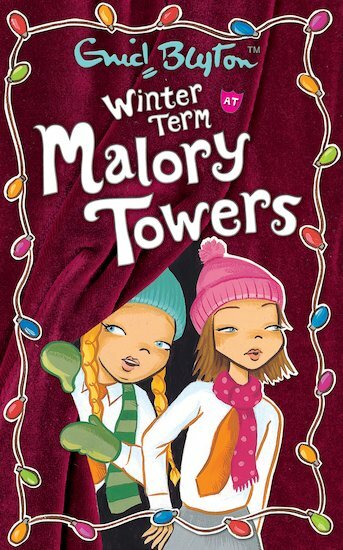 I WISH I COULD GO TO MALORY TOWERS OR ST.CLARES. I think this book was amazing and I would recommend this book to other people. 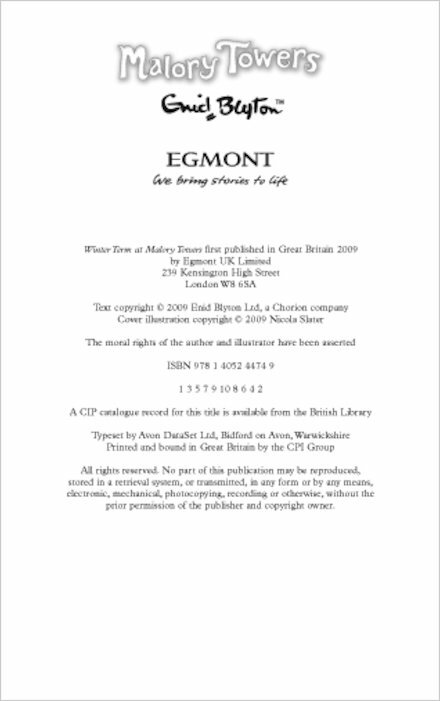 This book, I loved it. I collect all the Malory towers books and can’t wait to get the last three out of twelve. I enjoyed it mostly at night. It made me feel cosy. 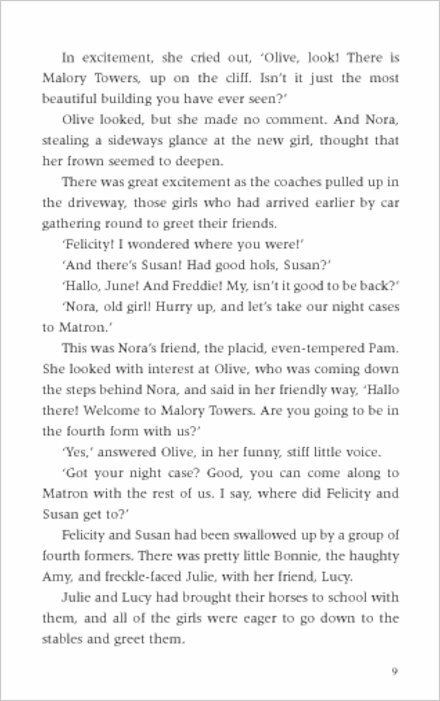 my favourite character is Felicity because when i first got the set, only Darrel was in it, and Darrel is felicities sister, so i felt like i knew felicity already, but when Darrel was still there in her upper forms, Felicity started in the first form. My least favourite character is Olive at the start, but then she turned out to be a good girl. At the end could imagine being friends with her myself. 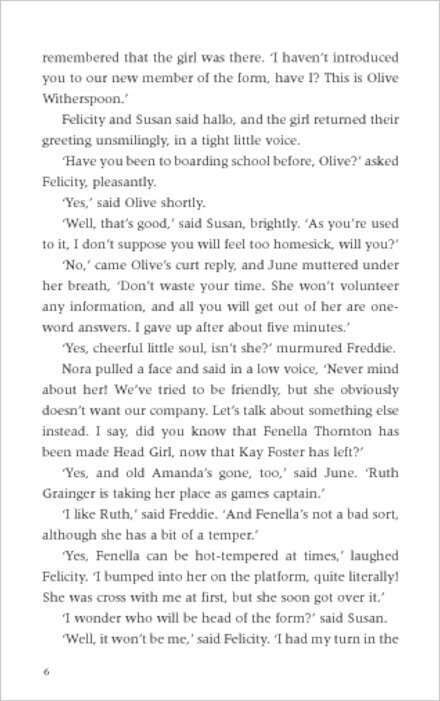 The part of the story i liked the best was when olive turned out to be good, when they had the midnight feast and when they have the Christmas concern when Olive saves it. I really enjoyed this book and cant wait to get the next one.